(2004/RAVEN) 14 tracks 1970/73 Remastered From Original Tapes, The Album Now Includes As A Bonus Five Previously Unissued Tracks. Captured Live At Austin's Rubaiyat Club In 1970. 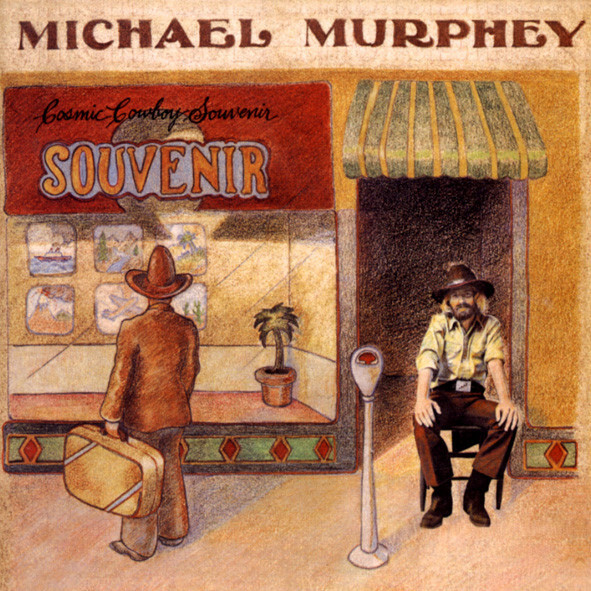 Murphey's First Two A&M Albums Have Commanded Considerable Affection And Respect For More Than Thirty Years: 'Cosmic Cowboy Souvenir' Saw The Singer-Songwriter Continue To Deftly Blend The Output Of The Pop Songsmith And Western Chronicler As Pioneered On 'Geronimo's Cadillac'. From This Forge Came The True Origins Of The Austin Alternate Country Music Scene. Working With The Likes Of Willis Alan Ramsay, Craig Hillis And Poet Charles Quatro, Murphey Crafted Powerful, Personal Songs Recorded In Nashville Under Bob Dylan's Producer Bob Johnston. This Reissue Features Bonus Live 1970 Versions Of Songs That He Would Not Revisit Until 1975. A Lavish Package Featuring A Revealing Murphey Interview And Rare Images From The Artist's Own Files. 11 What Am I Doin' Hangin' Around? Kundenbewertungen für "Cosmic Cowboy Souvenir...plus"